It’s safe to say, the vast majority of people in the world do not have a highly modified overland rig in their driveway. 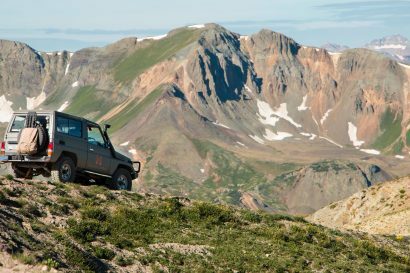 That shouldn’t deprive anyone from the thrill of extended overland travel, should it? 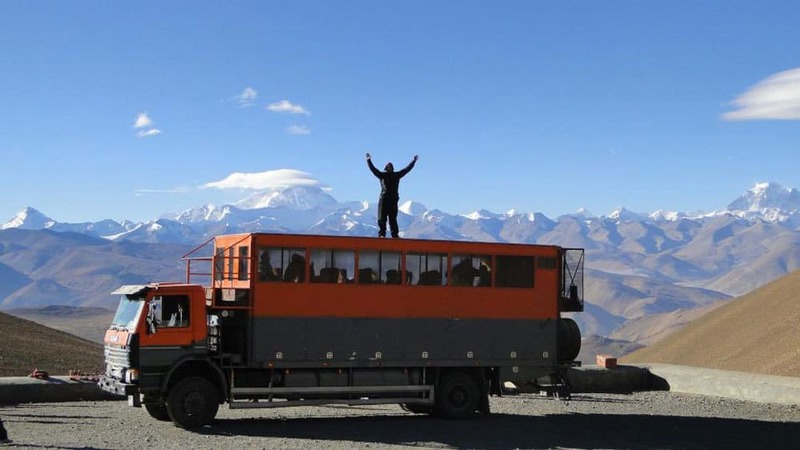 Not with Madventure Travel as a legitimate option for satiating the most ambitious overland travel urges. 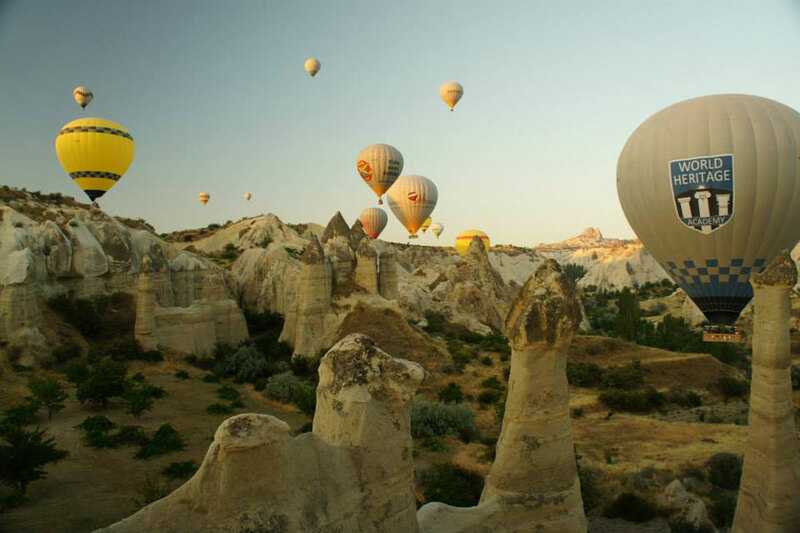 Founded by Karen Brown and William Thompson, Madventure Travel is not your average bus tour. Their travel packages range from 3 to 64 weeks in duration. No, that was not a typo. You read that correctly––64 weeks! 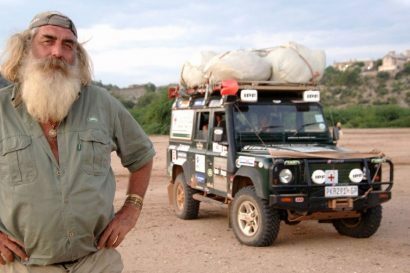 Their journeys cover virtually every remote corner of the globe from Alaska to Australia. 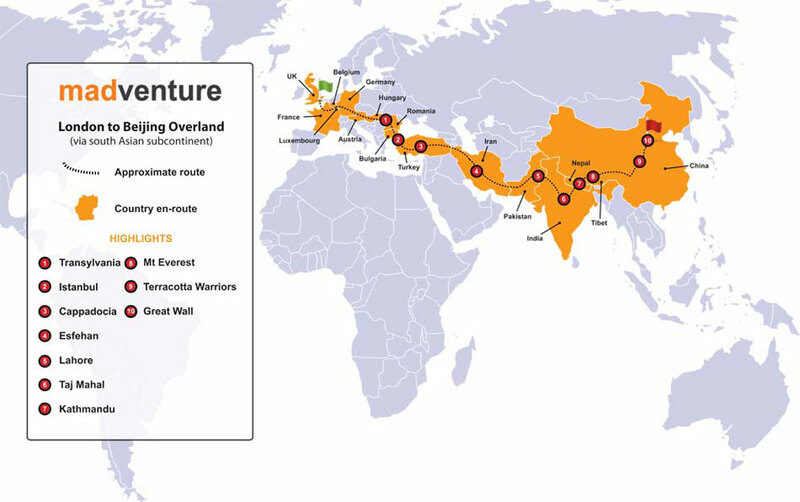 Originally offering tours from London to Sydney, Madventure Travel now connects London to Beijing, Kathmandu, Singapore and Almaty. 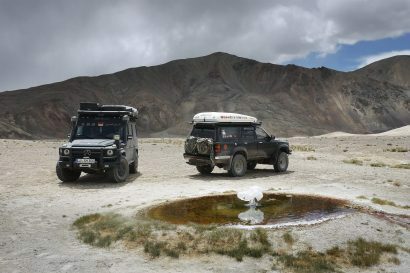 Their Cape Town to Beijing adventure is a 31 week epic traversing some of the most interesting destinations in the world. A typical Madventure trip can portage clients from the shadows of Annapurna to the colorful markets of Iran. 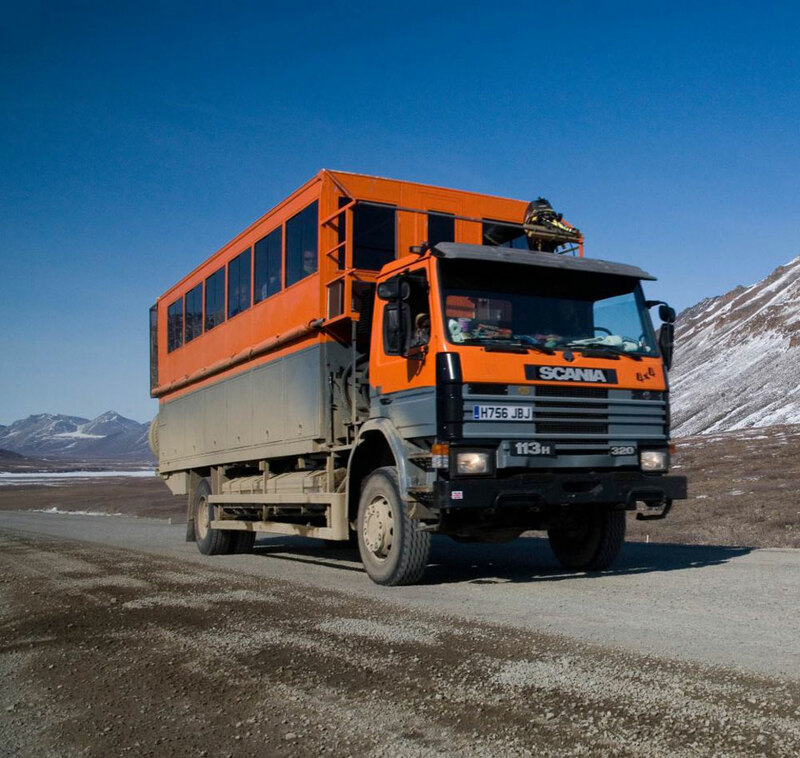 Accommodations are basic, which is to imply little more than tents pitched within reach of the Scania overlander support vehicle, but the prices are incredibly reasonable. Most tours include a few hotel stays and all food is included. For those who favor the camaraderie and safety of traveling in a small group, Madventure tours are a fun way to share in your travel adventures. A quick spin through their website and Facebook pages is a fascinating journey in itself. While the slogan, “Leave the driving to us” never compelled me to buy a Greyhound ticket, the idea of a Madventure trip is very interesting. Now, how to plan my life around a five year bus trip? Tent camping next to the Scania mother ship. Clients embark on the journey as strangers. Most conclude the trip as life-long friends having shared in a remarkable experience. 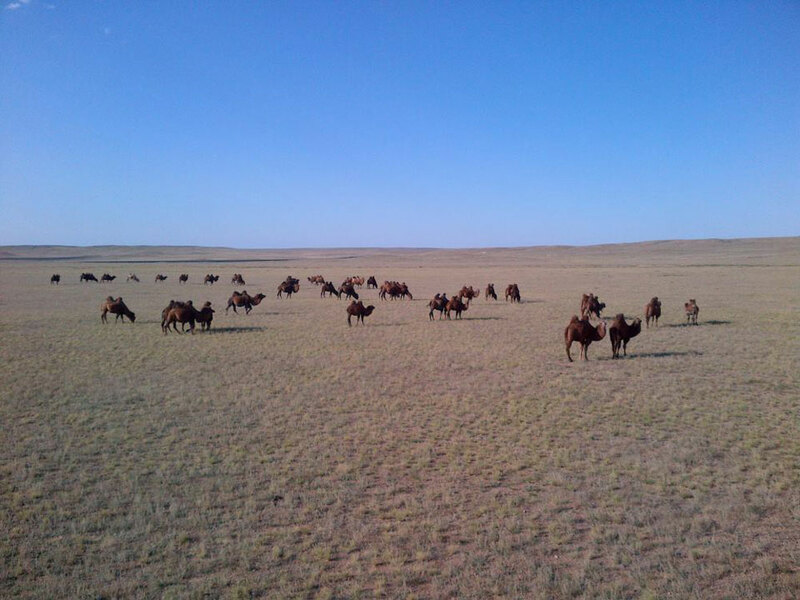 The high plains of Mongolia. 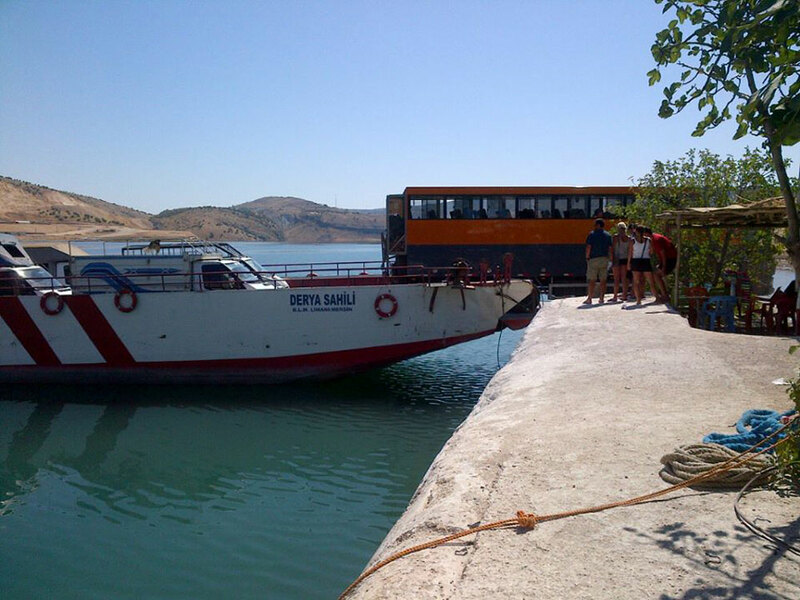 The ferry transfer in Turkey looks interesting! Fixing a leaf spring requires all hands, client’s or otherwise. 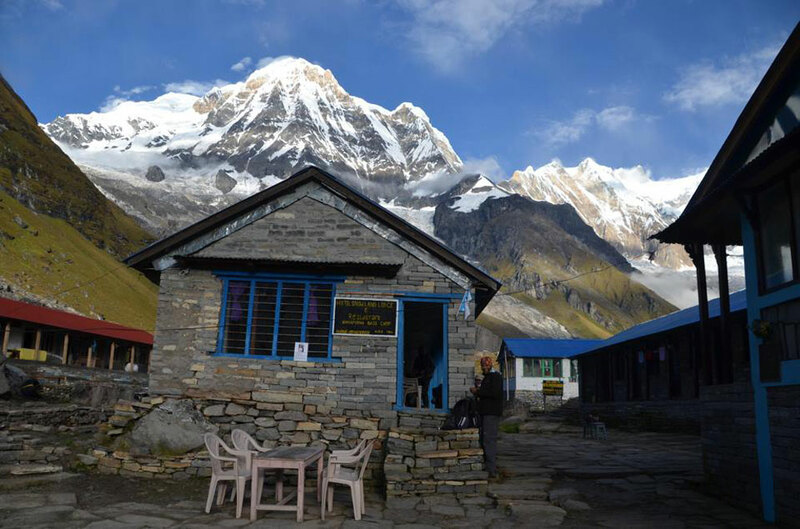 In the shadows of Annapurna. To see more route maps, pricing and images, visit their beautiful website.